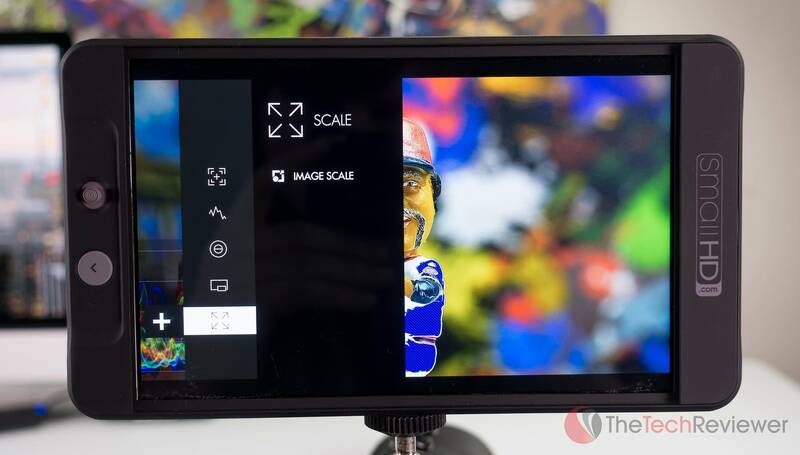 SmallHD 702 Bright Field Monitor Review - Worth It? 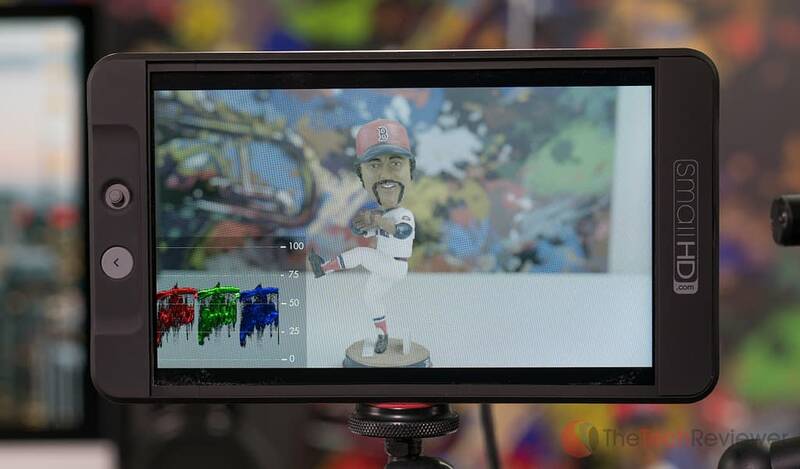 SmallHD's 702 Bright is a high-end field monitor with a daylight viewable FHD display. For those involved in the world of video and cinematography, a field monitor is one of the most trusted tools of the trade. 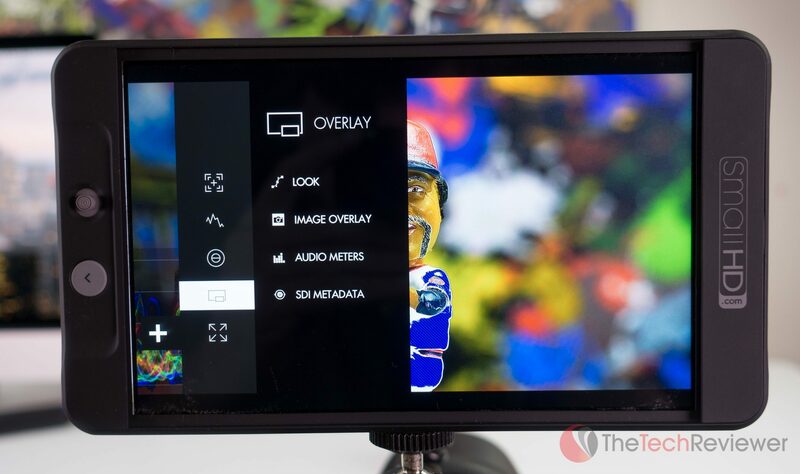 Relying on an external, high-resolution screen for tasks like pulling focus, checking white balance, monitoring exposure or framing can save you an astonishing amount of time which ultimately translates to money saved. Sure, a quality field monitor is expensive though think of it as an investment that will pay for itself over time and should outlast several generations of cameras that I’ll own. 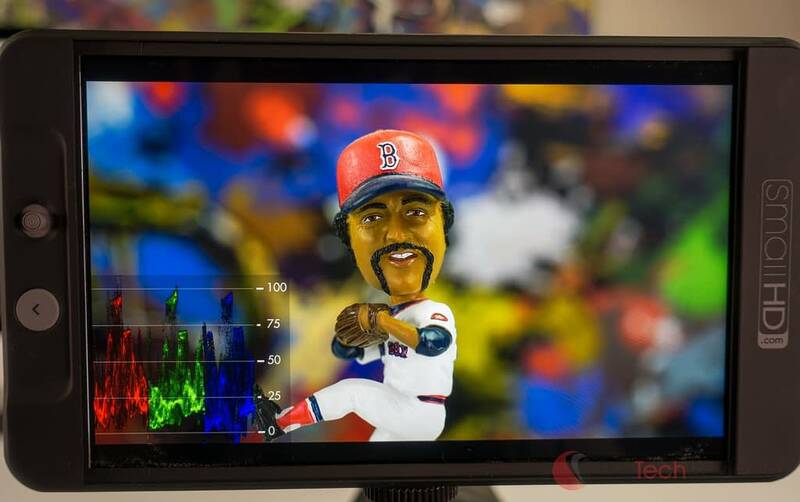 With technology advancing and the cost of display panels decreasing, SmallHD has been pumping out some impressive field monitors starting with the 502HD/Sidefinder and more recently their 702 Bright. 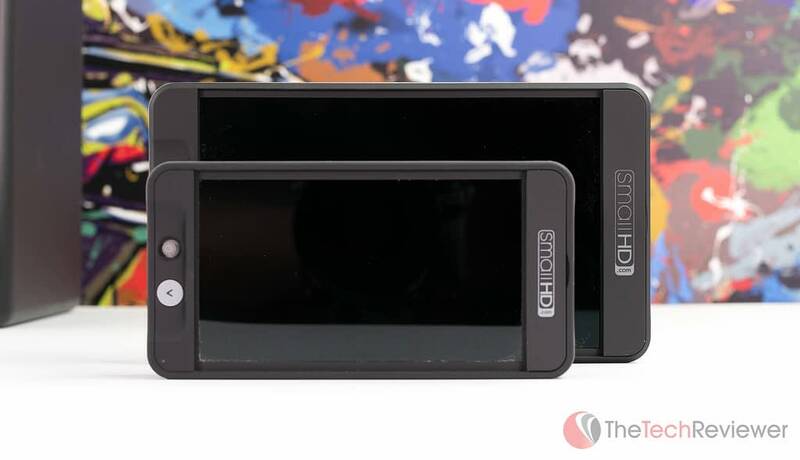 While I currently own both (in addition to the Atomos Shogun) and have used them extensively, I’m going to base this review on the 702 Hi-Bright only. 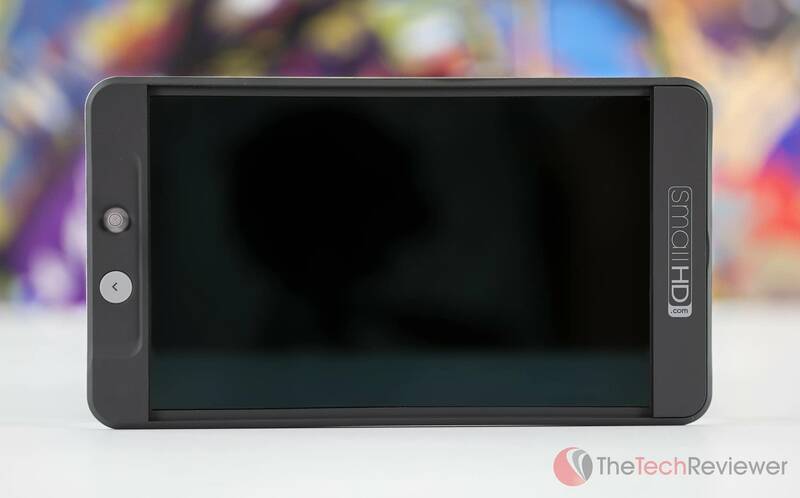 Compared to the $1,200 502HD, the 702 is placed at a higher price-point of $1,500 USD yet offers a larger display coupled with a much brighter backlight. 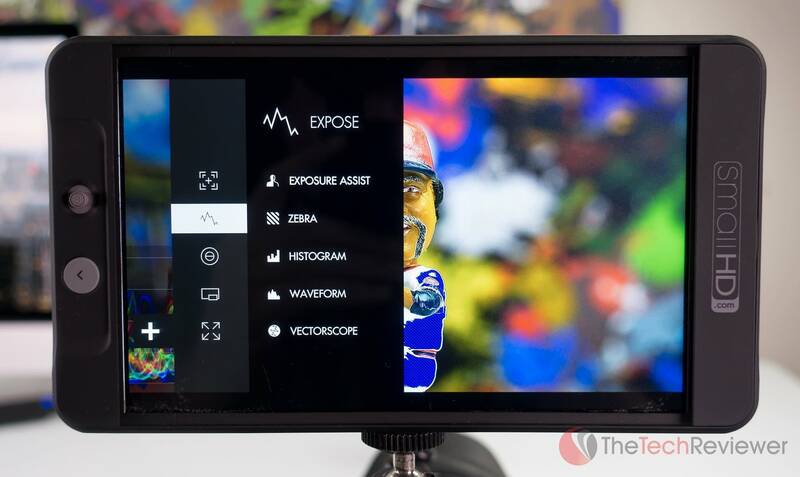 In the following review, I’ll touch on the pros and cons of the SmallHD 702 Hi-Bright as well as compare it to competing options like the 502HD and Atomos Shogun Recorder/Monitor. Rest assured, this review is not sanctioned by SmallHD, and I have not been compensated in any way for the opinions expressed in this article. From there, you’ll be able to unveil the 702 Bright although it is a bit underwhelming as the unit comes with no batteries, cables, accessories, manuals or any other extras. What you see is what you get, and that is merely the field monitor itself. Both the 502 and 702 are based off a simple design with the notable difference being the size of the unit. The 502 is the 5-inch model whereas the 702 is the 7-inch model. The chassis is comprised of aircraft-grade aluminum with the front and back panels utilizing a rubberized coating. SmallHD chose to secure the display panel with an optically bonded glass protector as well an anti-reflective coating to help ease any glares from direct sunlight. 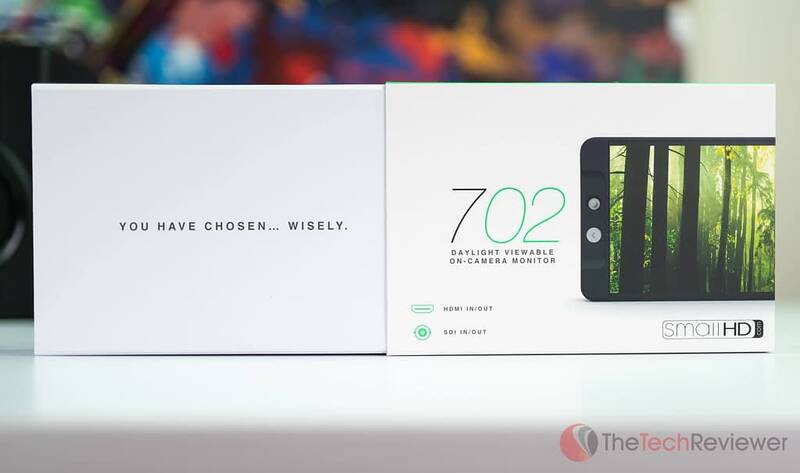 Holding the 702 in your hand, it feels well-made and robust. 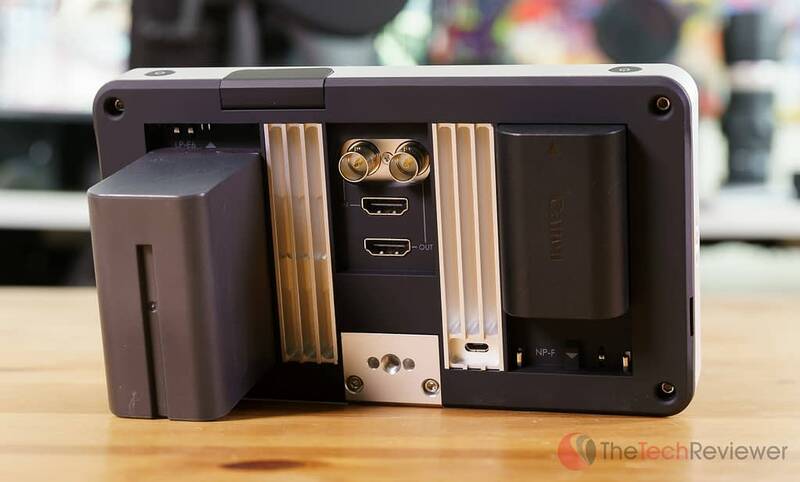 That is not something that I can say about my Atomos Shogun, which at its $2K price tag offers a much cheaper build. 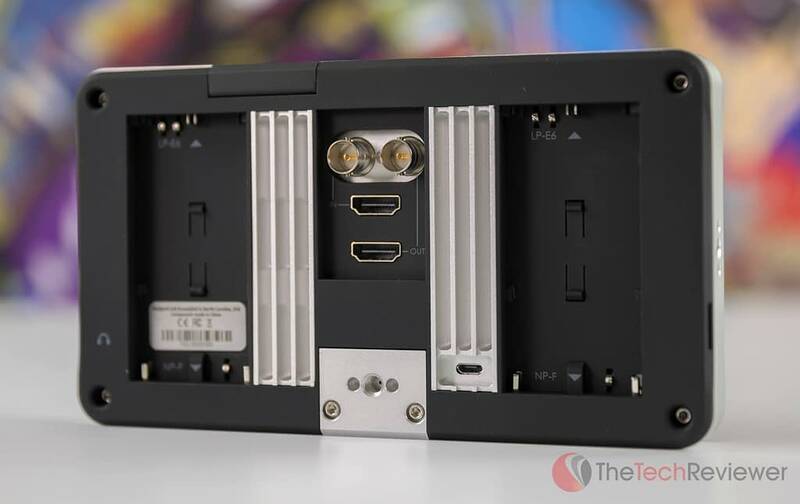 For such a big device, SmallHD kept the layout of the various buttons and ports simple, especially when compared to something like Convergent Designs’ Odyssey 7Q+. You’ll find a small joystick control on the front left of the unit with a circular back button arranged right below it. Moving to the top of the 702, there is a power button on the left and a capture button on the right. These four are the only buttons located on the monitor, and you’ll need to maneuver throughout the user interface. On the left, right and bottom edges of the monitor, there is a ¼”-20-inch mount along with single one located under the HDMI/SDI ports on the rear panel. While the 702 doesn’t require an SD card for standard operation, you’ll need one to input LUTS or upgrade the firmware, and stored via a slot on the top edge that is hidden away in a small fold up tab. For those concerned about their audio, SmallHD tucked a 3.5mm headphone jack nicely on the right side for audio monitoring. 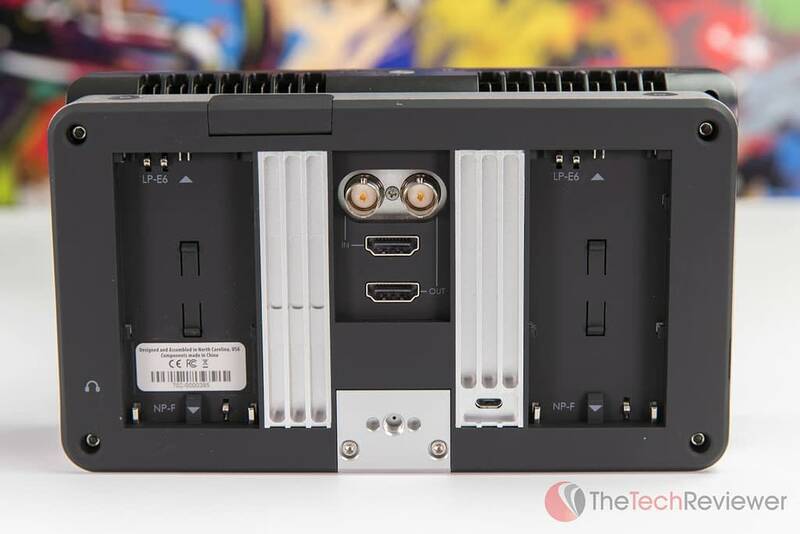 The back of the 702 gives access to all the goodies like an in/out for both HDMI and SDI as well as dual battery slots (I’ll touch on this more in the next section). While the 702 Bright harnesses a lot of cutting edge features, I’m going to touch on the most significant ones in this section to help justify why the premium price-point is justified compared to a lower-end option. The 702 offers a 7-inch 1920×1080 FHD display which is ideal for pulling focus from an HD or 4K signal. Besides the clarity advantages, the panel is capable of outputting a brightness of 1000 nits. This means it has a VERY bright backlight and can be viewed outdoors in daylight without the need for a sun hood. The Atomos Shogun is only capable of 400 nits and with the glossy screen requires an obnoxiously large sun hood for daytime viewing. With support for both SDI and HDMI connections, the 702 Bright can input and export signals from both sources. Along with this support, the 702 can cross convert meaning it takes in an HDMI signal and outputs it as an SDI or vice versa. You can configure this in the 702 settings and it doesn’t require any hoops to jump through. One of the biggest design elements that I love about the 702 compared to the 502 is the native support for both Canon’s LP-E6 batteries (what the 502 takes) as well as Sony’s robust L series batteries without the need for any changing of battery plates. With its ingenious design, you just insert an LP-E6 and push up to lock it into place or take an L series battery and insert it then push down to secure it in position. 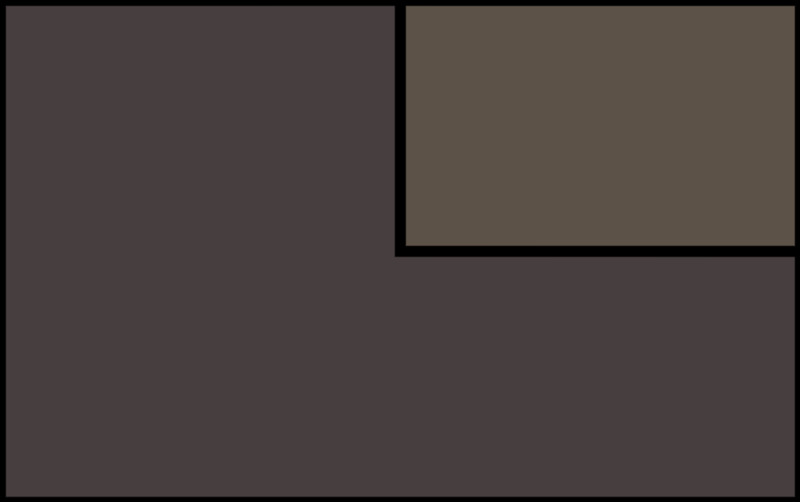 These are two very common battery types so chances are you’ll have a few lying around like I did. Design custom “pages” which allow you to add one or more monitoring tools to do the job. 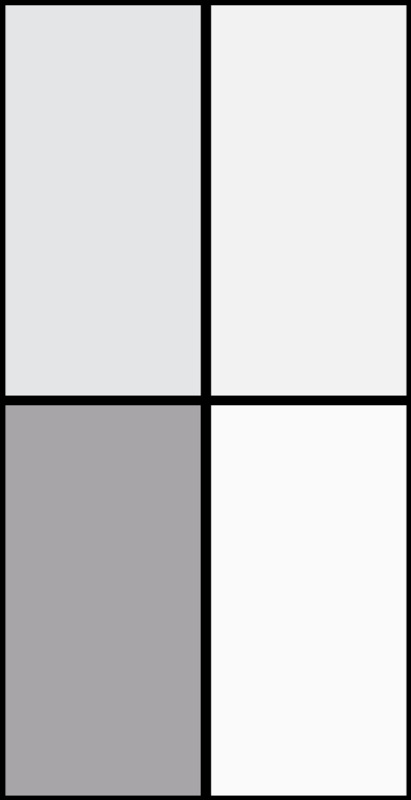 You can work off a single page by toggling each tool on/off manually or create separate pages for aspects like focus, framing, white balance and exposure. 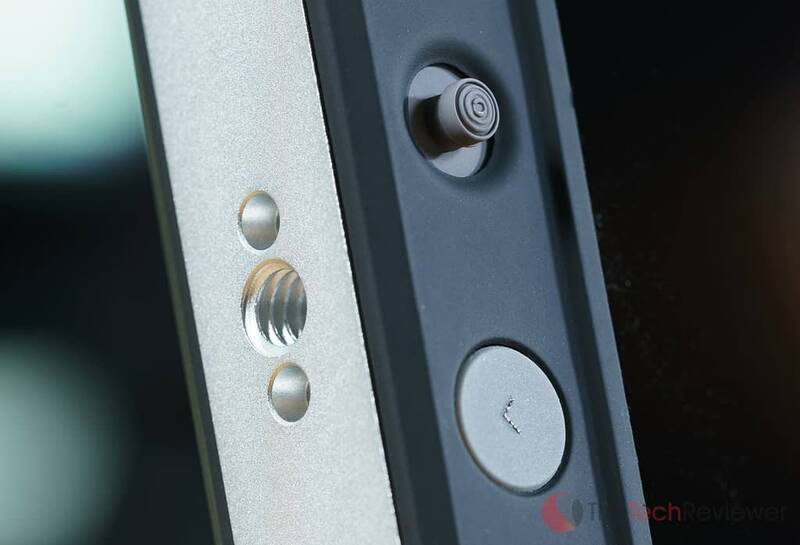 Thanks to the joystick design, it is easy to navigate through these pages and without the reliance on a touchscreen, you never dirty up the display with fingerprints. When I first picked up my Shogun, I thought I was spoiled with the amount of built-in monitoring tools that it had. 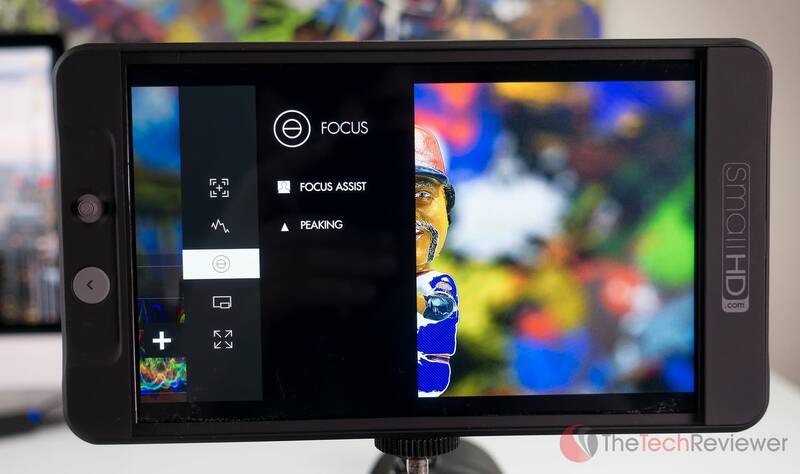 SmallHD’s tool lineup far outmatches Atomos’ offerings with not only more tools at my disposal, but each tool has a high degree of customization potential. For example, you can not only enable a waveform monitor but choose from three different variables (Luma, RGB or Parade) then manually decide the height, width, opacity and location of this element. 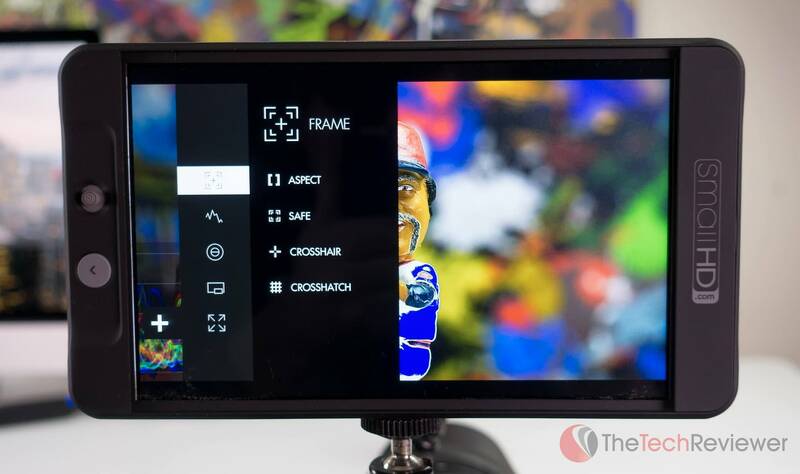 This feature is a must-have in the field monitors of today as even consumer-grade cameras are getting native support for ultra-flat profiles like V-Log, sLog, or C-Log, which can be difficult to use accurately with only the camera's built-in monitor. With the ability to apply a 3D LUT to your footage in real-time, you have a better idea how the footage will look once color corrected or graded and can help to adjust appropriately for exposure and color temperature. With four different spots to mount the monitor, you can easily attach it to a tripod, arm or other mounting solution to get the optimal position while shooting. 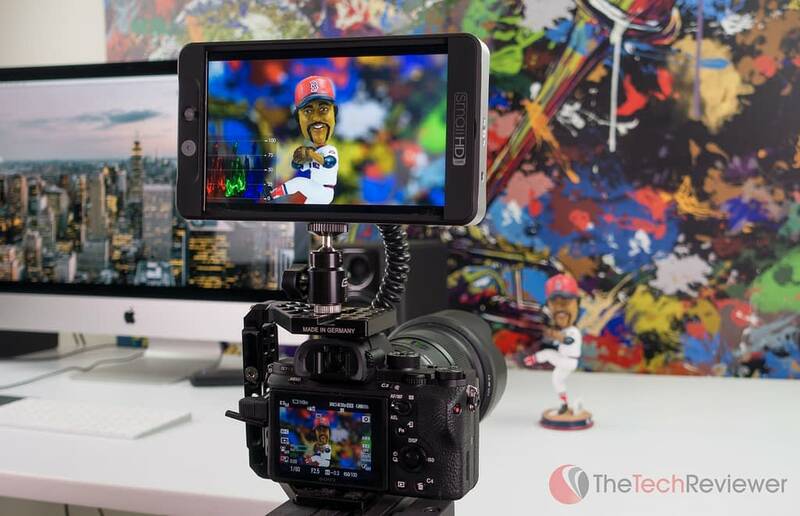 This is a notable advantage over the Atomos Shogun or Assassin, who offer a single ¼-20” mount on the top and bottom of the unit. I’ve been able to put the 702 Bright through the paces for both commercial and personal use paired with my Sony FS7 and a7RII. While a monitor of this size isn’t a necessity for every gig, (I prefer the 502 while on a Ronin or Glidecam) it has fit in well with my shooting style and become a valuable tool while in the field. When you consider the 702 sports a full 7-inch HD panel, the size and weight are pretty reasonable. Compared to the Shogun, the 702 is thinner and shorter in both height and width. The weight different is negligible between the two without batteries, but it feels like the 702 is marginally lighter. Despite this, the SmallHD product still seems significantly more premium with a feeling of substance to it whereas the Atomos recorder has a more “hollow” feel to it with a cheap feeling plastic exterior. I’m hesitant to put a monitor of this size in the hot shoe of my a7rII as it could damage it by too much strain. I prefer to attach to my Walimex Pro Aptaris cage or the side of my Manfrotto tripod head via a monitor arm and haven’t run into any complications with this especially since the 702 offers an array of ¼-20” mounting points. 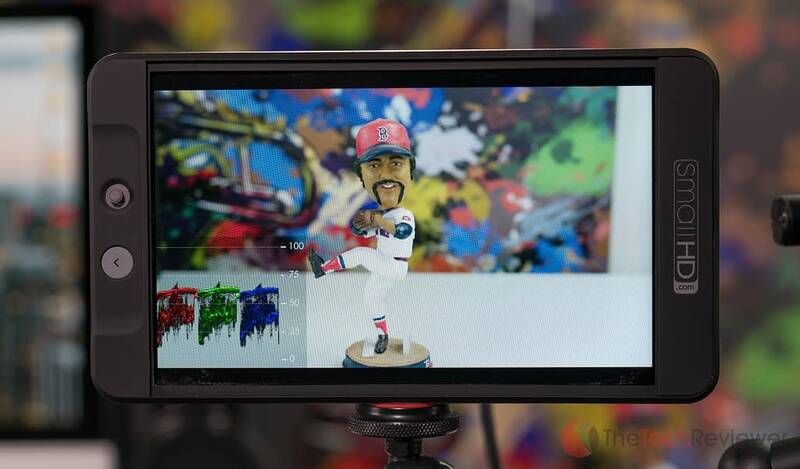 The Shogun’s interface is easier to use, yet the SmallHD’s is more complex with a full-fledged page system and allows for deep customizations of each tool. At first glance, this system could be a bit intimidating although it’s pretty easy once you get the hang of how the page system works. My only complaint would be the lack of the ability to re-order the pages once they have been setup. Unfortunately, this means you must make them in the order you’d like or be required to delete them and start over anytime you wish to change this page order. I like that there is a default first page designated for what the 702’s output will display. 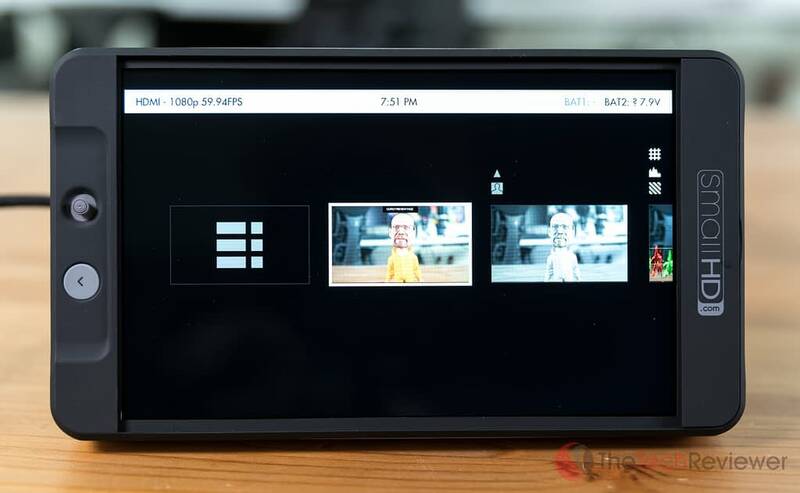 The benefit of this is that you can utilize the monitoring tools you need while shooting on a job, but if you are running a separate output monitor for a director or client to view then you’ll be able to hide the unnecessary monitoring tools and add a LUT to give the client/director a satisfactory viewing experience as if the footage had been graded in post. My Shogun's dirty screen after a day of shooting. I think it is worth noting that the lack of a touchscreen in the 702 is more of a benefit than a burden in my experience. 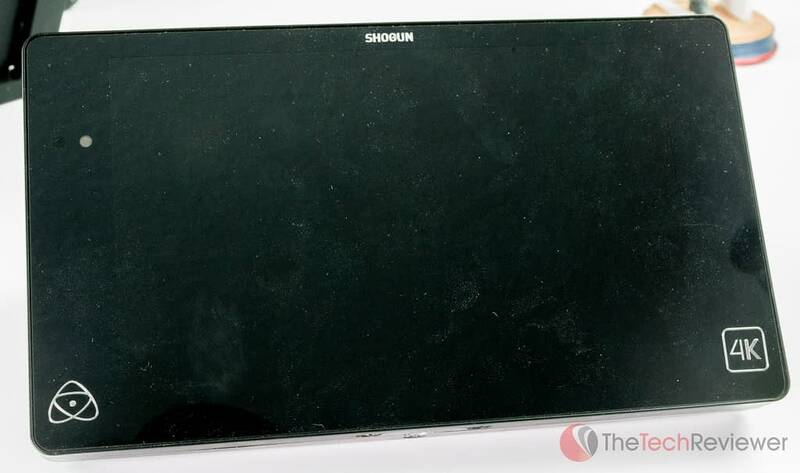 My Shogun’s touchscreen is nice and responsive, but results in annoying fingerprints or smudges on the display which can become bothersome near the end of a long day of shooting. Additionally, this design helps when shooting in colder climates where shooting with gloves is necessary. SmallHD packed the 702 Bright with a high-quality 7” panel that performs extremely well in the field. The colors are vibrant and accurate falling within 85% of the NTSC spectrum and 100% of the Rec 709. Unlike the Shogun, it doesn’t have the ability to automatically calibrate the color profile (LCDs tend to shift over time), but you can manually calibrate it via a LUT or adjust the brightness/contrast individually. The primary selling point for this model is the high-intensity backlight, and I’ve been very pleased with this aspect. Of course, the backlight is adjustable within the menus, so I tend to keep it at 50% while indoors (to save battery life) and bump it up to 100% when outdoors in sunny conditions. The anti-reflective coating along with the 1000 nit output is an effective combination to beating glare and vastly better compared to my Shogun without its bulky sun hood. Having a usable vectorscope isn’t a necessity for all shooters, but I find it handy when shooting in a non-studio environment where I don’t know the temperature of the lighting environment. 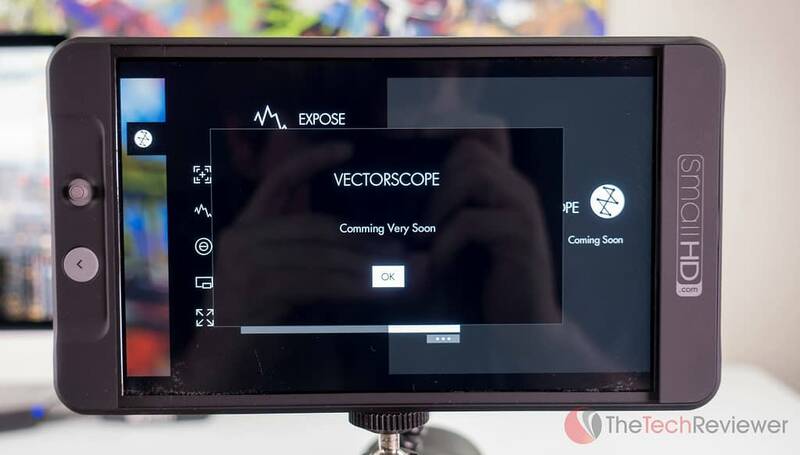 SmallHD has promised a working vectorscope option on the 500 series since its launch and promise the same about the 702 Bright. For now, all you get is a placement screen within the settings promising the feature is “comming very soon” (yes it has a typo). Considering it has been almost nine months since the 502 began shipping, I’m not very happy with the delay in this feature especially when my Shogun has had a working vectorscope tool since day 1. You do have access to an RGB parade waveform tool which has been my go-to white balance tool when working with the 702. Editor's Note 3/17/16: A working version of the Vectorscope tool has finally been added via the free download of firmware 2.2 so the previous paragraph is no longer accurate. See this article for more details. My main camera is an FS7, so naturally I was excited to pair the 702 with it. At first, everything seemed normal until I used the thumbstick to zoom in and nail focus on my subject. To my surprise, the monitor had a stutter-like quality to the image so the fine lines that I was attempting to focus jitter up and down the screen making it difficult to pull focus. I’ve never experienced this phenomenon on my 502 or my Shogun so it is not an ordinary occurrence. I switched to my A7RII and RX100 IV to see if the same result happened from their camera outputs. Neither of them display the weird jittering and act as sharp and smooth when zoomed in as my Shogun. I was pleased to know that it is likely some weird incompatibility between the FS7 and 702. After doing a bit of research, it appears that I am not the only one with this issue. 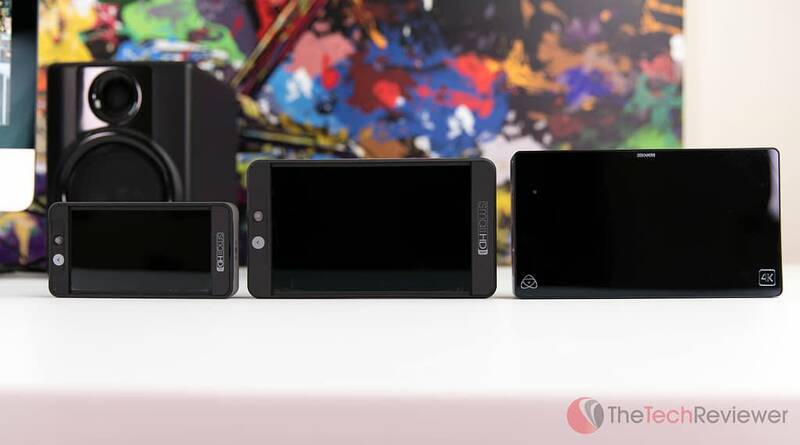 SmallHD is aware of the problem and trying to work with Sony to come to a resolution on this issue. Meanwhile, the 702 shouldn’t display this problem with any other Sony cameras including the FS700, a7S, a7RII or a7SII. 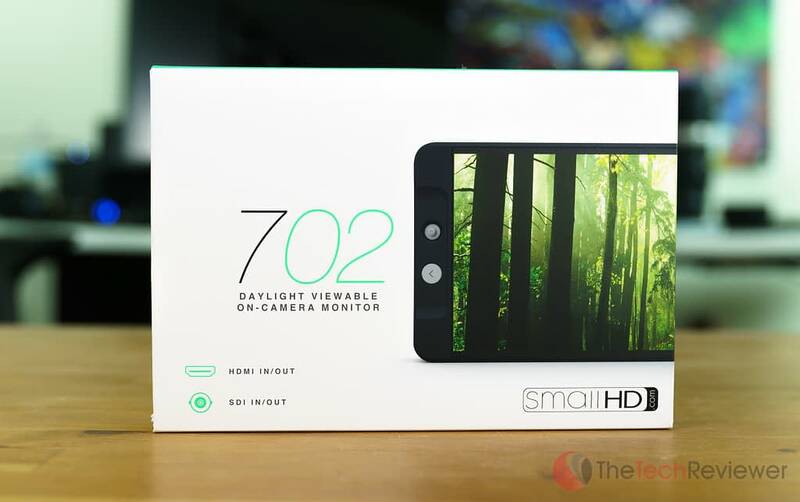 With the release of the 702 Bright, SmallHD took all the positive elements from the 502 and implemented them on a larger, higher-intensity screen. 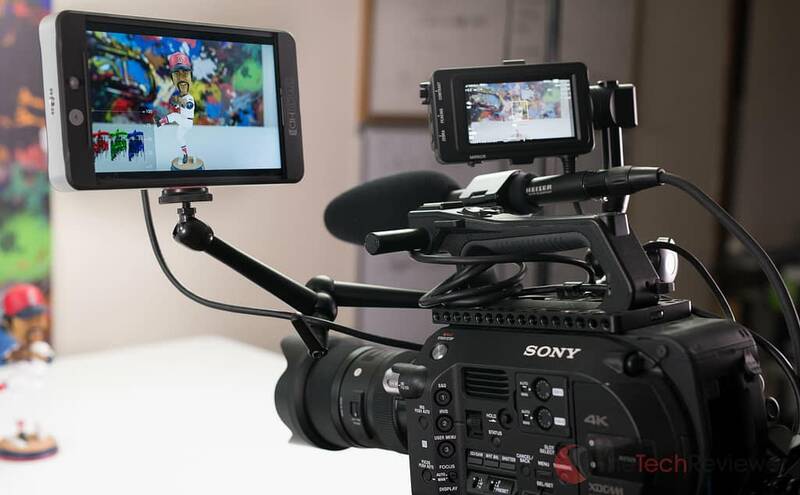 Unlike the Atomos Shogun, the 702 oozes high-quality with a compact and durable form-factor, intricate “page” system and the native ability to use two common battery types without any need for adapters. While the 702 still harnesses its initial launch firmware, there are a few bugs including a lack of a vectorscope and some inconsistencies when shooting on Sony’s FS7. I’m certain SmallHD is working hard to bring a resolution to both these issues and let the 702 rise to its full potential. The 702 Bright isn’t the monitor for everyone especially those on a budget, but this model is geared for professional use. It is built to within stand the grind of commercial work, has a bright enough screen to use in daylight without a sun hood and offers virtually any monitoring tool you could want with immense customization potential for each tool. Great review. I’m looking at the shogun inferno – partially to record past 30 min on the a7sii, but also to have a great monitor with false colour/waveform etc to use on many different cameras. To me it seems that the inferno would be a go to. Since you’ve had both. What’s your take on this? 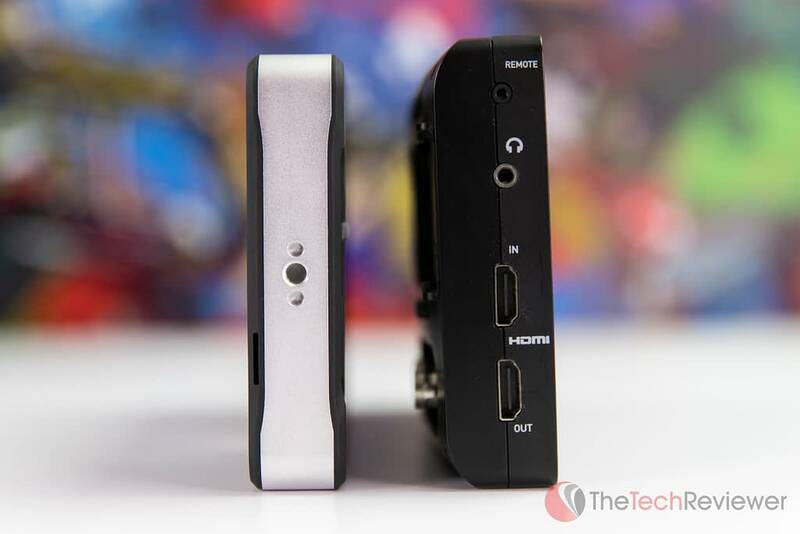 Should I for go the recording aspect of the small HD 702 is in fact a better monitor? You mention the price point. Has SmallHD released price points for their monitors? I’ve never seen a manufacturer do that. I wonder if you actually meant price and not price point? There aren’t the same thing. It is a VERY common term when discussing the price of a product or service in the technology and consumer electronics realm. If you frequent Engadget, TechCrunch, the Verge, etc. you will see them use it in the same context as I did here in a wide selection of their reviews and articles. Also, SmallHD does actually release an MSRP upon launch of a new product which resellers should abide by, for what it is worth. Obviously, over time this suggestion is loosened thus why you see B&H selling an older stock of SmallHD product on their ‘Deal of the Day’ section from time to time. Excellent, thorough review. 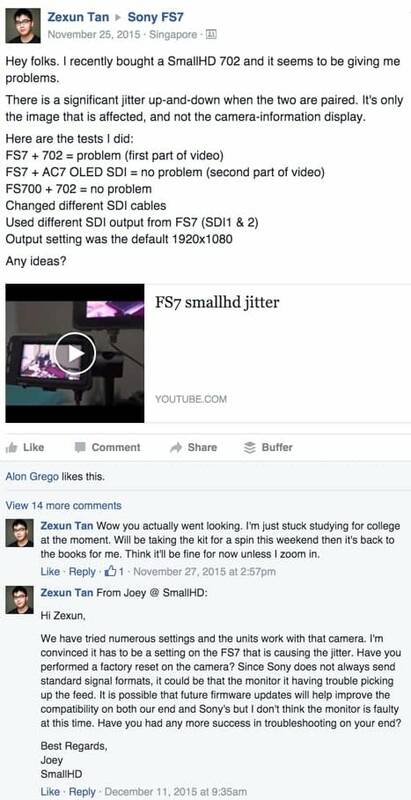 Answered my question about going in sdi and out hdmi. Thanks Mitchell, enjoy the monitor!